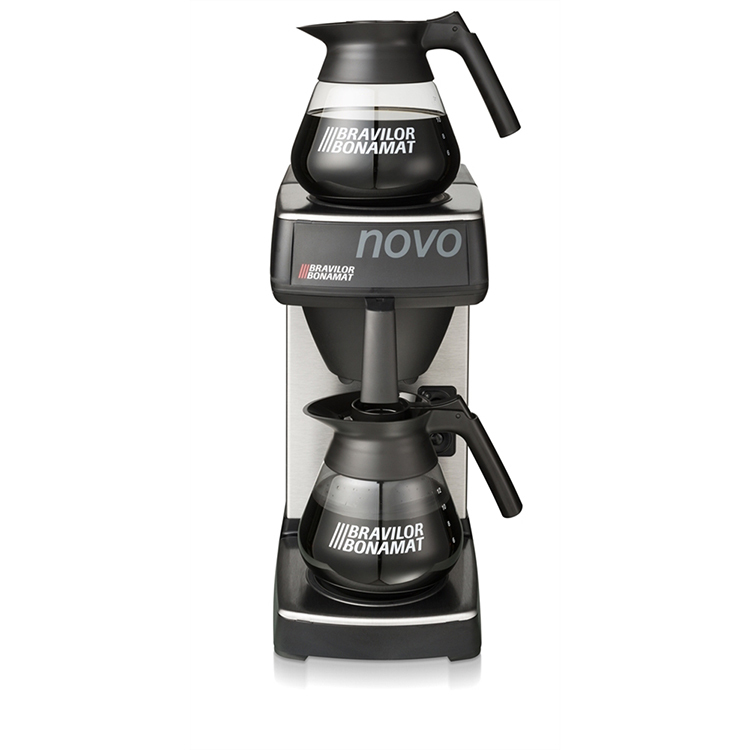 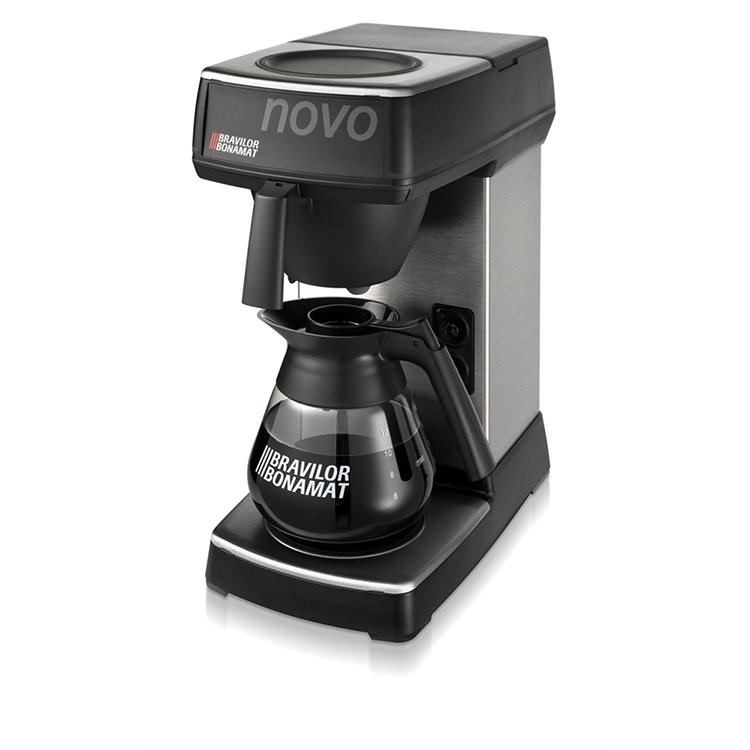 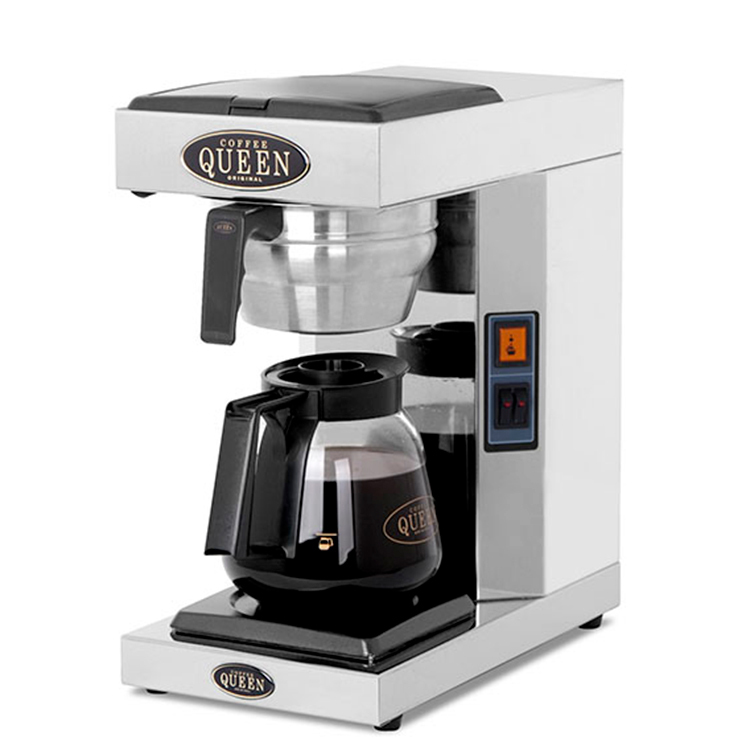 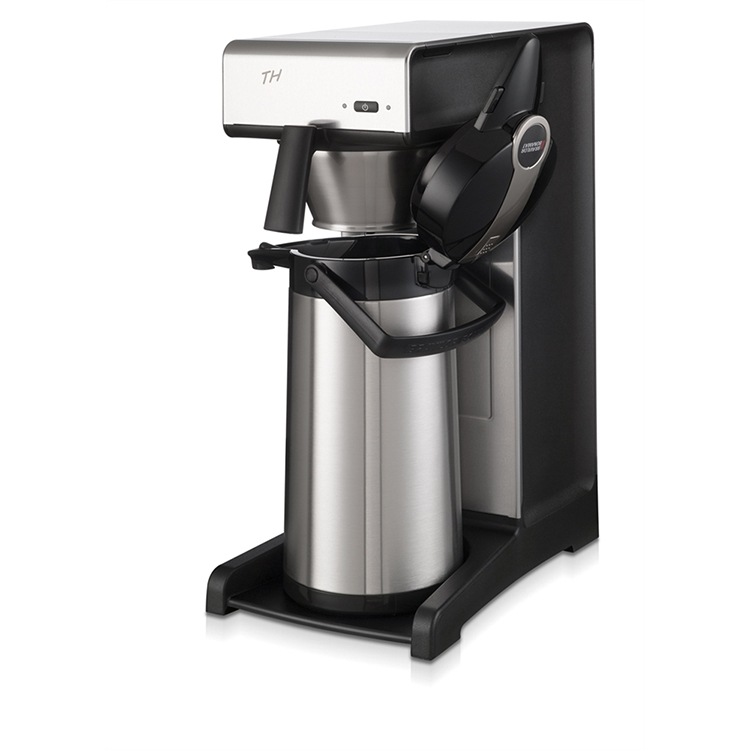 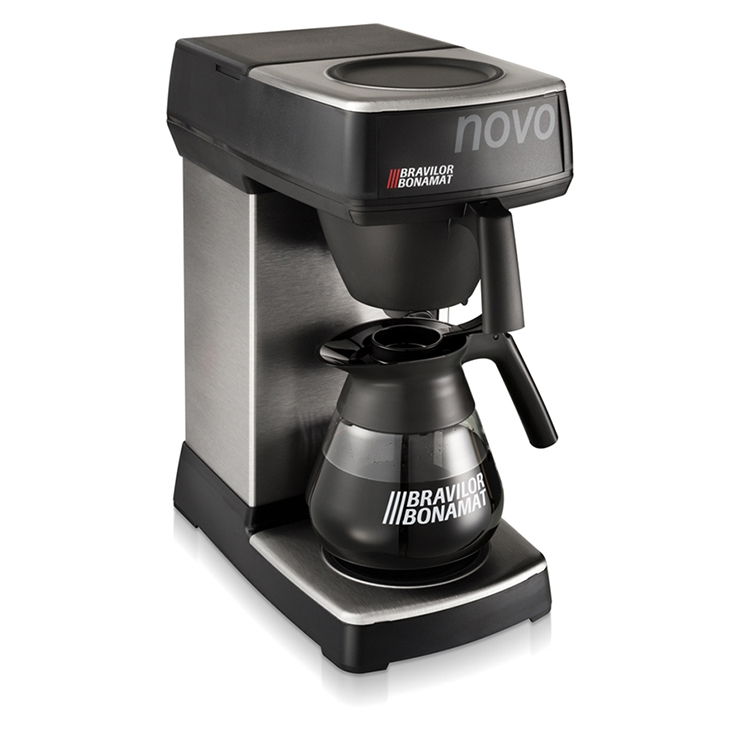 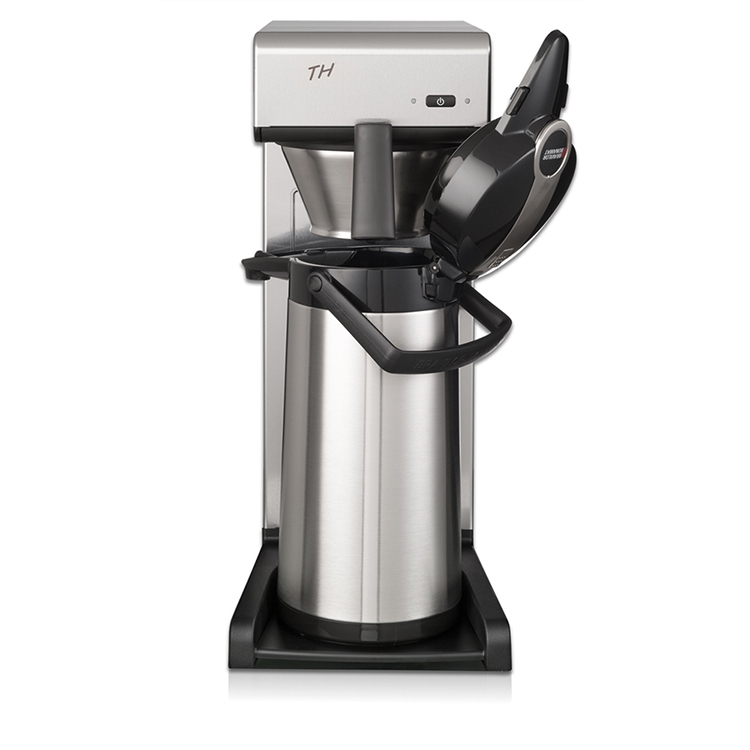 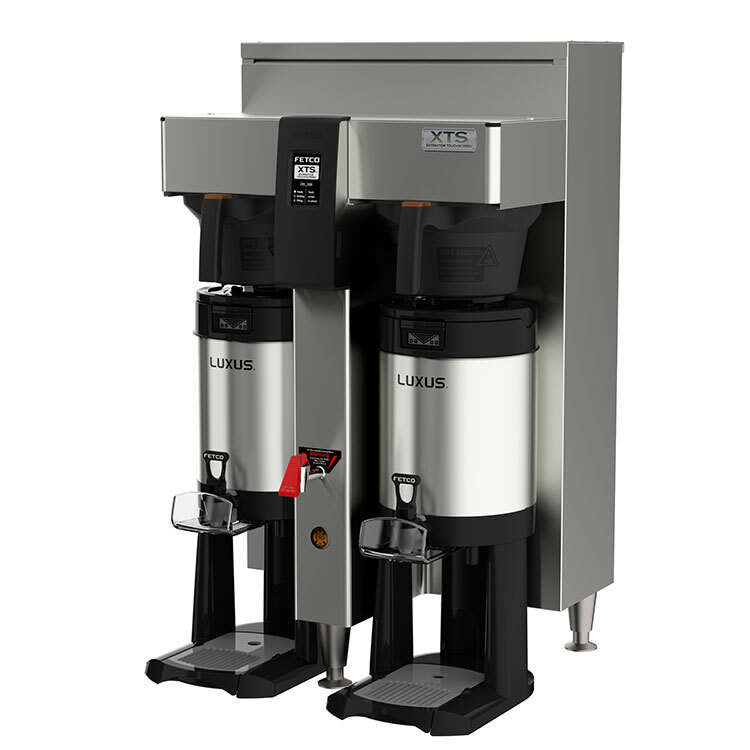 The Novo coffee machine serves freshly brewed filter coffee, quickly and without the use of water mains. 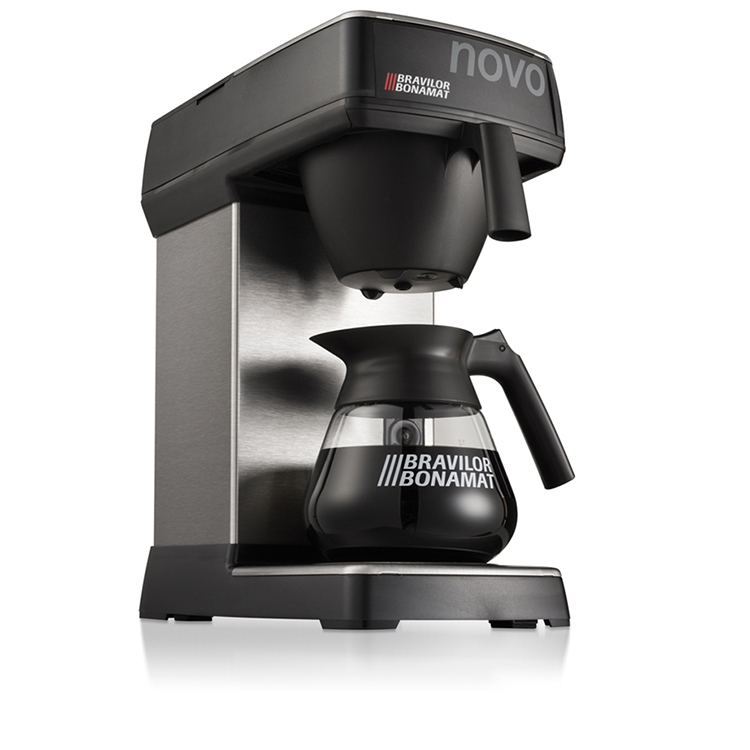 The beverage brews directly into a 1.7 litre glass flask. 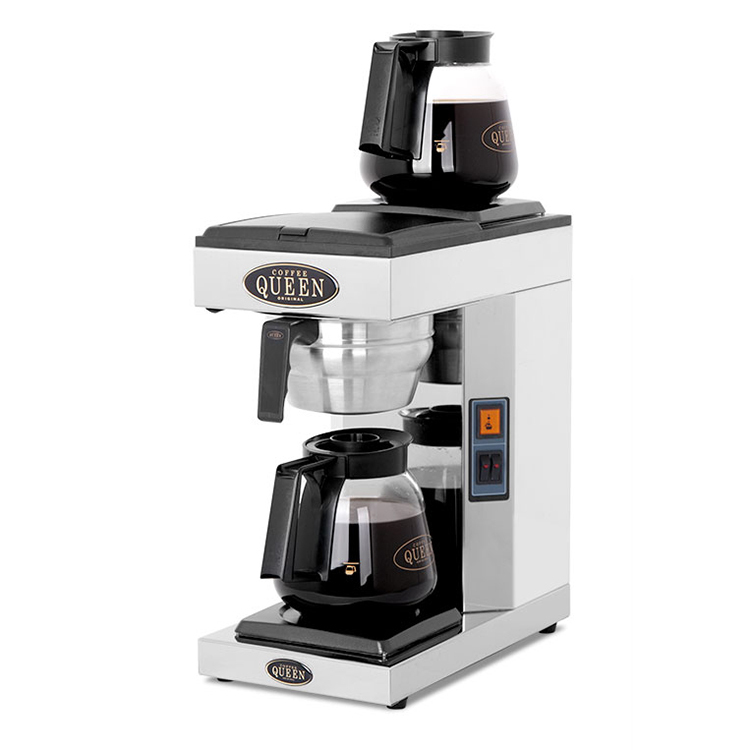 The two self regulating hot plates keep the coffee at the right temperature. 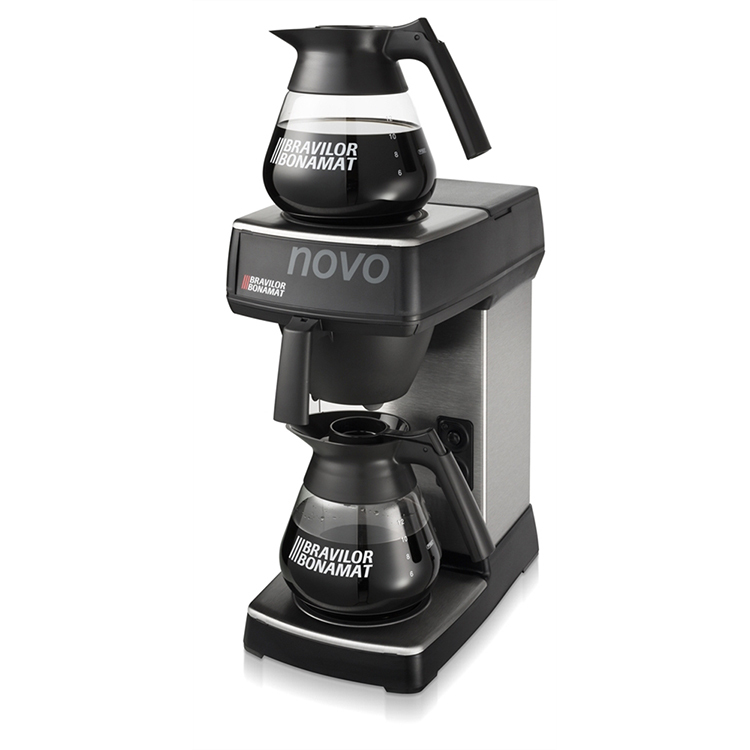 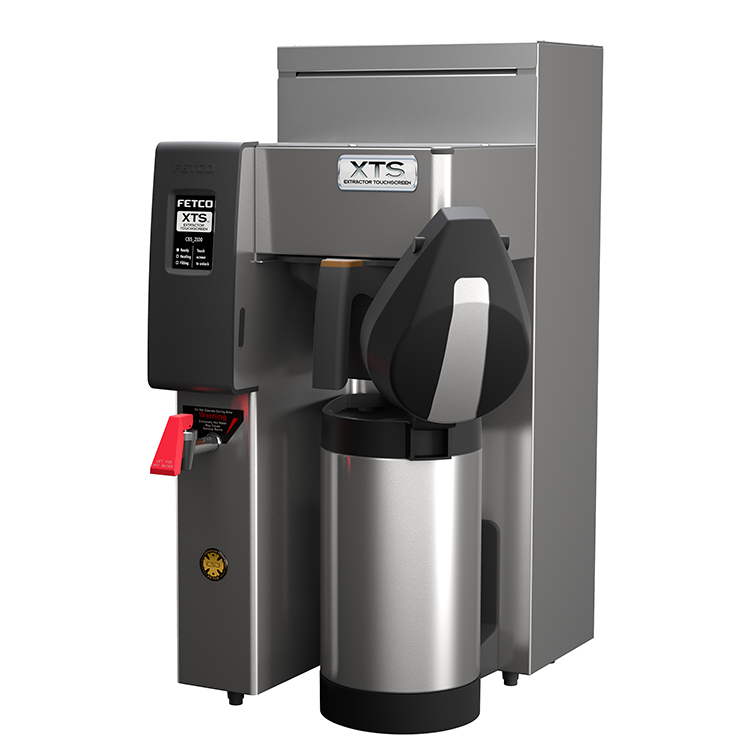 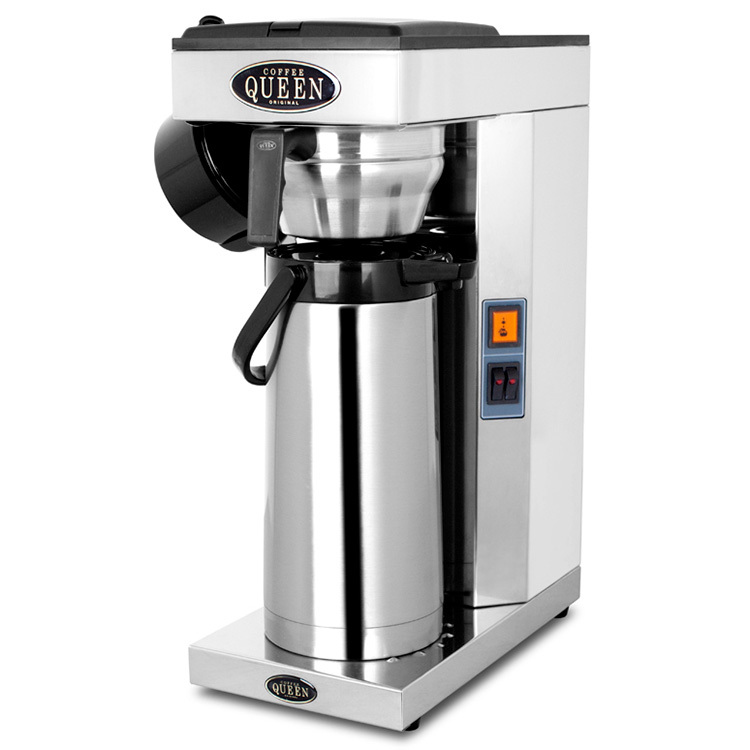 The Novo is a low maintenance machine and does not require plumbing as it has an internal tank that needs to be filled for every brew. 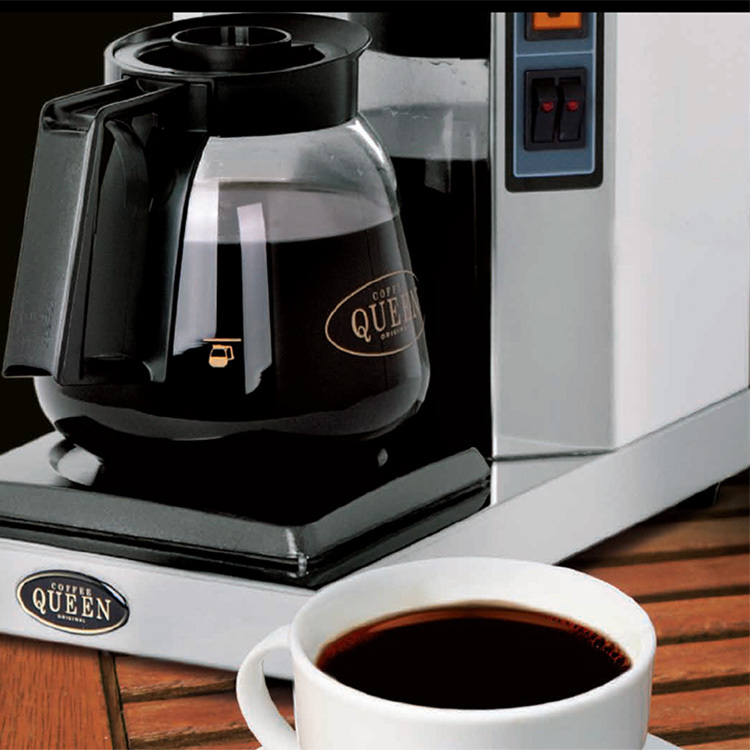 Simply position within reach of a 13A electrical socket, plug in and brew. 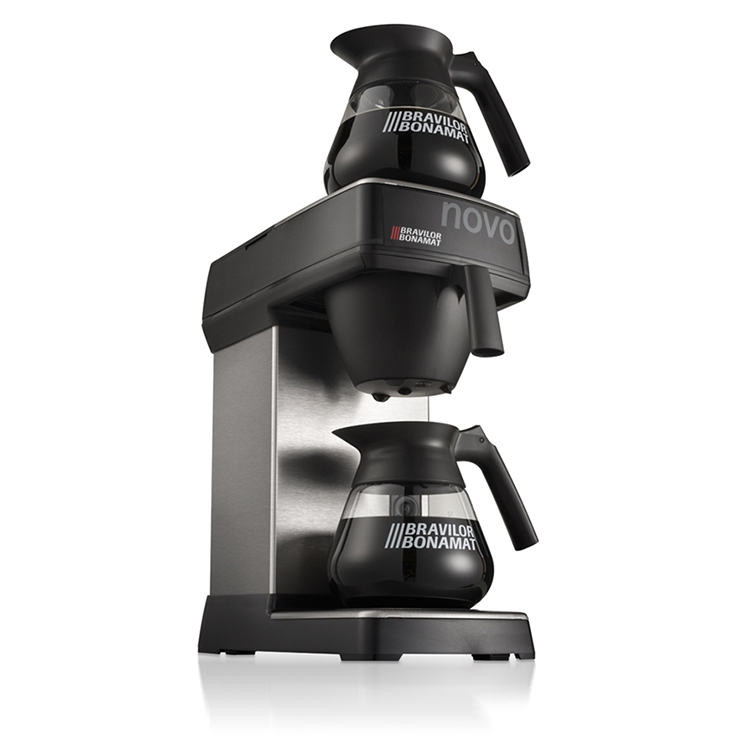 Comes complete with 2 x 1.7 litre glass flasks. 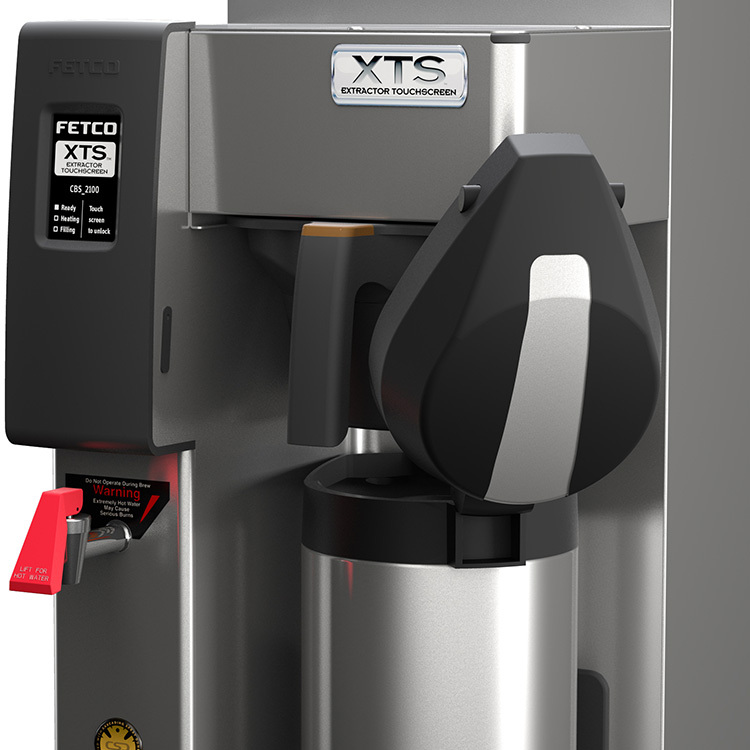 Designed for LOW / MEDIUM volume use.